“Mainstreaming” (inclusive community) discussions begin as a way to give people with disabilities more access to their peers and community. This idea helped facilitate the push from institutions, like Apple Creek, into smaller facilities and group homes. 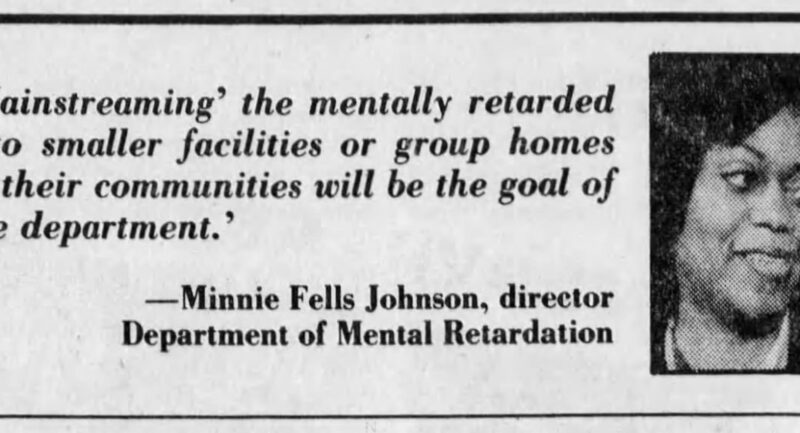 The Mental Retardation Board was given more power to provide more opportunity for people with disabilities to “achieve their fullest potential.” The Board also made it known that health and safety of individuals was crucial and that the department would prosecute any facilities who fall short of state standards during the transition into smaller, community-based settings.